Sweltering summer temperatures are tough on our vehicles. Batteries can lose strength or corrode, coolant/antifreeze may break down faster and lose its ability to protect your engine and, in rare cases, vehicles may catch fire. 1. 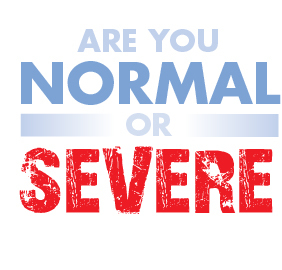 Check Hoses, Wires and Belts Regularly. Proper maintenance of your vehicle should include regular, thorough inspections of the hoses that move flammable liquids — especially oil and transmission fluid — throughout your engine. At the same time, check wires and serpentine belts to ensure none are worn or frayed. If you discover a leaking or improperly connected hose, a frayed wire or a damaged or frayed belt, have it checked and repaired as soon as possible. 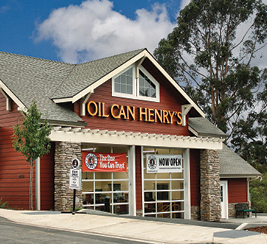 Oil Can Henry’s Famous 18-Point Full-Service Oil Change includes a complimentary visual inspection of the engine. During the inspection, your technician will inform you of any visible leaks, hose damage or safety concerns. 2. Keep Your Engine Clean. Every once in a while, pop the hood and check for debris. Carefully remove or brush out old leaves and other “garbage” that could ignite or fuel a fire in the engine compartment. 3. Maintain Proper Oil and Coolant Levels. Check your oil and coolant regularly to ensure both are at proper levels. 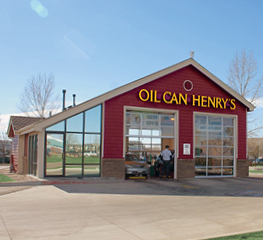 To help you do that, Oil Can Henry’s Famous 18-Point Full-Service Oil Change includes Free Fluid Refills: Get one free oil top-up within 3 months or 5,000 miles of your last oil change. Come in anytime to top-up other fluids and tires. Coolant (also referred to as antifreeze) flows through your vehicle’s radiator and engine to protect from overheating, freezing, rust, and corrosion. Over time, lines can get clogged with deposits, rust and corrosion. Restore the protection level for the entire cooling system. Our Radiator Fluid Exchange service removes virtually 100% of the dirty, used coolant and replaces it with new coolant. Unsure if your coolant is still protecting your engine? Oil Can Henry’s service centers offer a complimentary coolant check to gauge the strength of your engine’s coolant. 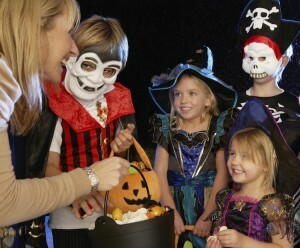 Simply visit your neighborhood Oil Can Henry’s and ask for a free coolant check. 5. Check Your Tire Tread and Pressure. It’s important to check your tires on a regular basis to ensure that they’re wearing evenly and are inflated to the proper level. This is particularly important in the summer because extreme heat causes the air inside your tires to expand and that can lead to blowouts on worn-out tires. According to Interstate Batteries, “summer heat can be even more damaging than winter’s cold temperatures when it comes to car batteries.” The heat can sap battery strength, cause water to evaporate out of battery fluid and, particularly in cases when temperatures exceed 95° F, accelerate corrosion. Visually inspect the battery, looking for bulges, cracks or leaks. If you find any of these situations, replace the battery. Clean the battery connections by removing corrosion, lead oxidation or rust from the top of the battery with a scouring pad or brush. Be sure to brush away from you. If your battery has removable filler caps, open the caps and check the water level in each cell. If the water level is low, add distilled water until the plates are covered. Don’t use tap water and don’t overfill. Time for a new battery? Most Oil Can Henry’s service centers sell and install Interstate Batteries. If you think you see flames, do not open the hood. You could be burned and the fire could spread rapidly. 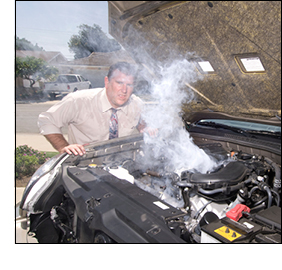 Don’t open the hood by hand or unscrew the radiator cap until you’re absolutely positive the engine has cooled. This could take 30 minutes or more. If you do unscrew the cap, cover the cap with a cloth to protect your hand. Open it slowly and tilt it away from you. Don’t drive your vehicle if the coolant tank is empty. That could cause significant damage. To be on the safe side, we recommend you call a tow truck or, if you have it, AAA Roadside Assistance. Safe summer travels from all of us at Oil Can Henry’s! The staff was courteous, informative and friendly and I love that you get to stay in your car for service. I especially appreciate that they have a monitor next to the driver’s side window where you can watch the technician do the work and see for yourself that they’re getting the job done accurately and efficiently. The old school outfits topped it off for me and made me smile, thus the 5 stars wasn’t a question for me.